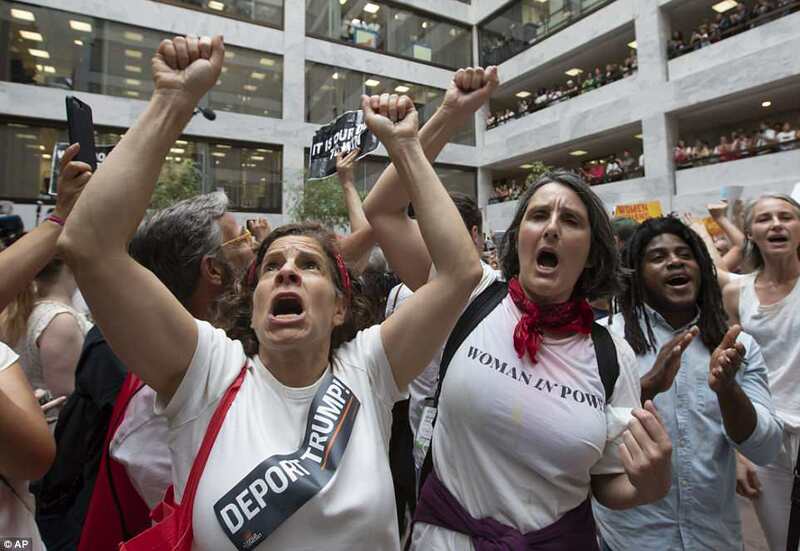 Capitol Police arrested nearly 600 people Thursday after hundreds of loudly chanting women demonstrated inside a Senate office building against President Donald Trump's treatment of migrant families. Among them were a Washington state congresswoman, the lawmaker said on Twitter. 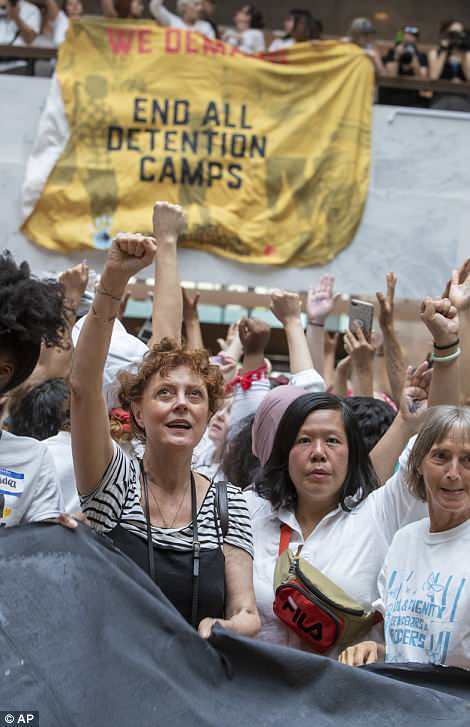 Amid unrelenting daily images of distraught immigrant children separated from parents and herded into fenced enclosures, women sat on the floor of the Senate Hart Office building's 90-foot-high atrium. 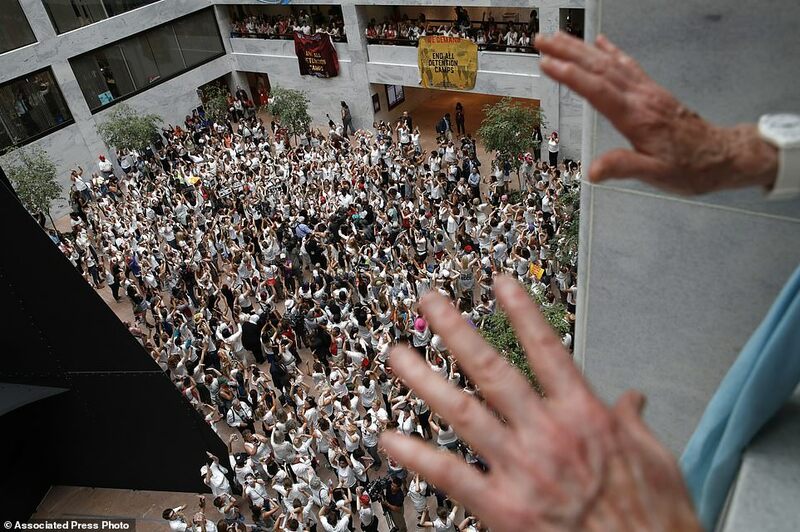 Seated around Alexander Calder's black metallic 'Mountain and Clouds' sculpture, they shouted slogans and cheered for a handful of fist-pumping lawmakers - all Democrats - who waded into the crowd. 'What do we want? Free families!' and 'This is what democracy looks like' were among their cries. 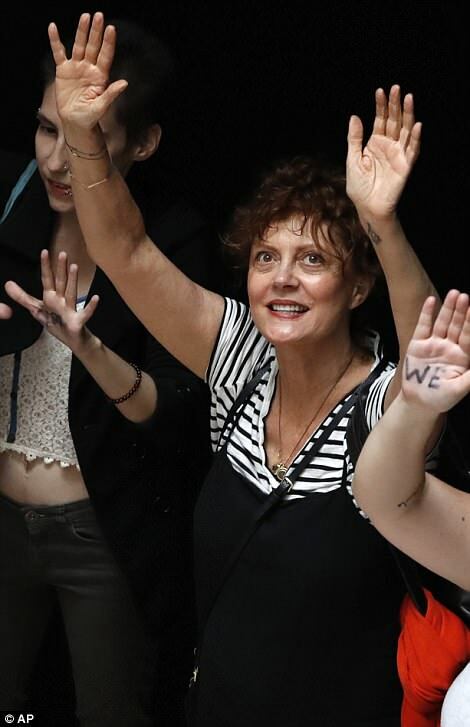 The sit-in of protesting women was organized by two liberal groups, Women's March and the Center for Popular Democracy. The action lasted more than two hours. 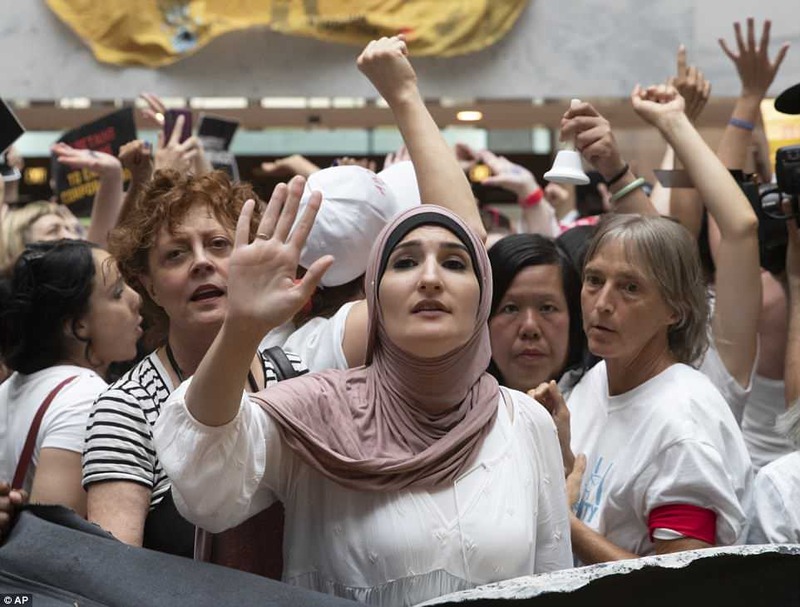 Winnie Wong, political adviser for the Women's March, said the crowd's fervor will translate into 'the energy we will need to see to at the ballot box in November,' when congressional control will be at stake. 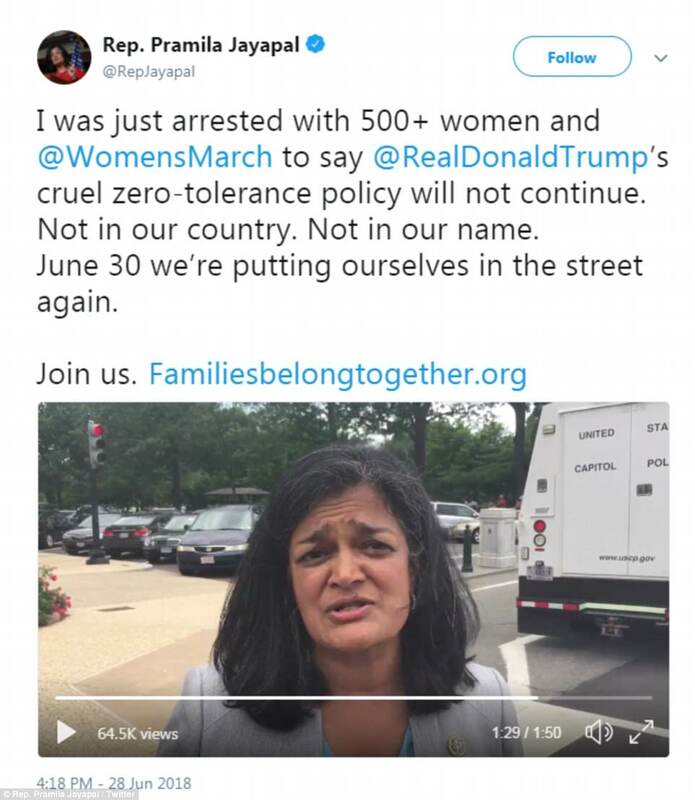 'We're here to fight for our families to be free, to fight for the ability of our kids to be with their parents - not in cages, not in prison, but able to live their lives free, safe and secure,' Jayapal said. 'These folks are out here fighting for the core principles of our nation, and I applaud them for it,' Merkley said in an interview. 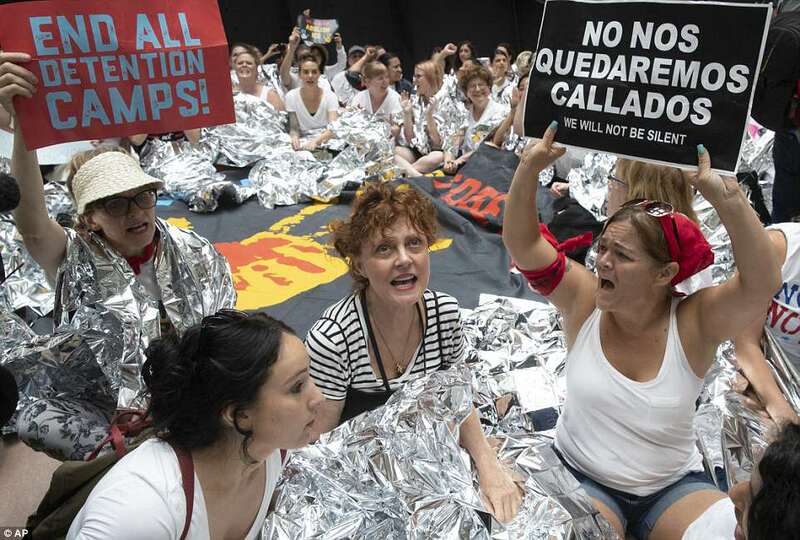 Under Trump's 'zero tolerance' policy, the government has begun prosecuting all migrants caught entering the country without authorization. Trump has halted his policy of taking children from their detained parents under public pressure but around 2,000 of them are still being held, with many families saying they've not known how to locate them.